1. This is not a dystopian novel like the jacket cover suggests. While the synopsis leads you to think that this book is full of dystopian mischief and intrigue, do not get your hopes up. This is a book written completely around a love triangle. A LOVE TRIANGLE. If you read my last review, you know how I feel about this continuous issue seen in young adult literature. America’s “I don’t need a man” attitude seen in the first novel is completely gone by page twenty. In place of it is a indecisive girl who changes her mind regarding who she loves faster than I could swipe the pages on my kindle. 2. Character development that actually goes backwards. While one would expect America to grow into a stronger character, she actually regresses. At times, America is a brat, behaving rashly and not thinking of the consequences. I suppose I would be a character that would act out irrationally when I was under the control of an author who knew no other adjectives besides the word “wonderful”. America spends the novel debating whether she has what it takes to be a princess, yet tries to rebel for the sake of rebellion. 3. Anti-feminist. Le sigh. I am super disappointed at the end of this novel. I wanted to desperately for America to turn into this strong independent character. Yet by the end of the novel, she falls in line with the rest of the women in the competition. She feels unworthy of a man’s love and chooses to fight for him in order to save the day. Girl. Stop. No. Just Stop. No girl should have no fight for a man’s love, much less prove yourself worthy. By the end of the novel I felt sick reading it. What is this telling our younger readers? How is this encouraging them to cultivate positive relationships? While I finished this book less than a week ago, I struggled writing a review over it. Why? I could barely remember a single thing that happened in the novel. Looking back, there isn’t much plot to write about. Despite this, the series is one that has a huge fan base. 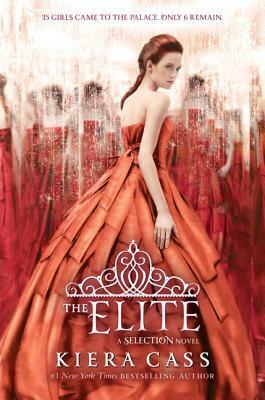 Like Stephanie Meyer, Kiera Cass knows how to write books that sell. I gave this book two stars on Goodreads. I've seen so many less-than-positive reviews for this book, and many include the same complaints as you did. I'm not sure who, exactly, is reading and loving this book and making it so popular!